Iron Spring Software was started in 2007 with the intention of bringing the flexibility, reliability, and portability of PL/I to a wider market. Today our customers range from individual developers to a large state government agency. PL/I is a powerful programming language suitable for a wide range of problems. PL/I has been used to write operating systems and compilers, simulations, real-time programs, mathematical software, spreadsheets, GUI programs, business applications, and much more. PL/I is a more secure programming language. PL/I is widely used on mainframes and midrange systems today, but since the demise of Digital Research, Inc. has not been readily available on personal computers. 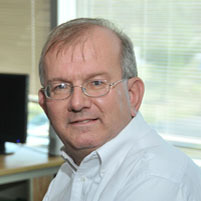 Peter Flass, the founder of Iron Spring Software has been involved with PL/I since 1965 as a software developer, consultant, and now creator of the Iron Spring PL/I compiler. A graduate of the University of Rochester, he was awarded an MS in CS by Union College, and has participated in numerous vendor training courses, standards development activities, and users' groups. Our logo is an image of the Old Iron Spring in Ballston Spa, NY, one of the first of the famous mineral springs of Saratoga County to be developed. The nearby San Souci Hotel, built in 1804, was described as "the most elegant in the United States at that time." During the course of the Nineteenth Century the more numerous and better-known springs of Saratoga Springs eclipsed the Old Iron Spring, but it nevertheless continues running today as reliably as ever. Ballston Spa, in the heart of New York's dynamic Tech Valley region, is approximately 150 miles from Suffern at the southern end. PL/I was first conceived in meetings at the Motel-on-the-Mountain in Suffern in 1963.